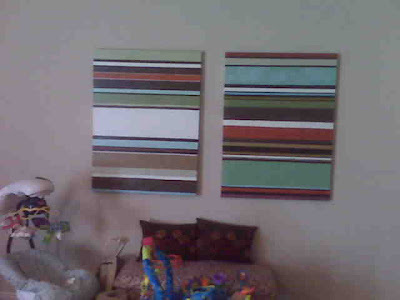 This is a painting I just finished - it's still drying - for my friend Paige. She has a pear themed bathroom and apparently couldn't find a pear painting. This is an original that won't be found in stores! This would also make a great kitchen painting. 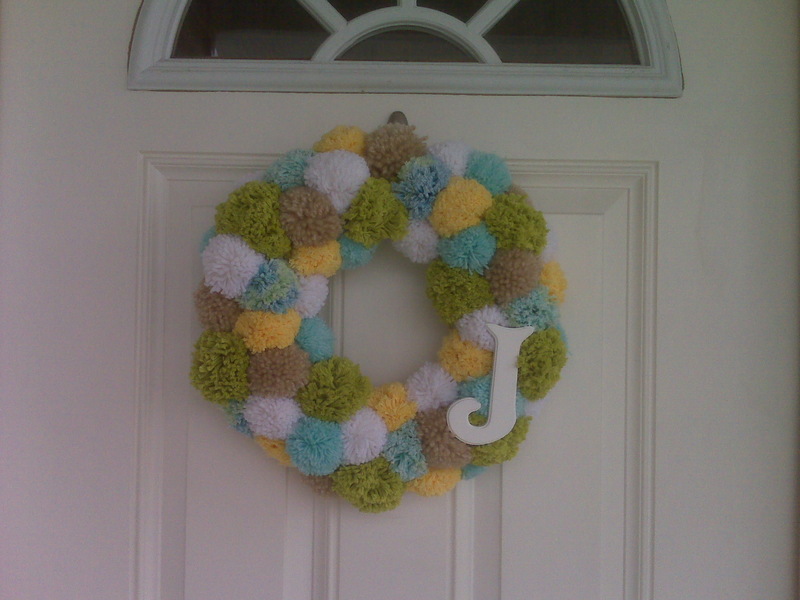 I made this wreath for my Mom's birthday. This one was a doosie! 25-30 hours of TV and travel time making those small yarn pom-poms. This is on my door, but it looks very cute with the contrasting colors of her brick house. I did it after my friend Emily made one, and I'm pretty sure she got the idea from Studio 5. See the tutorial here. Here's where the magic happens! 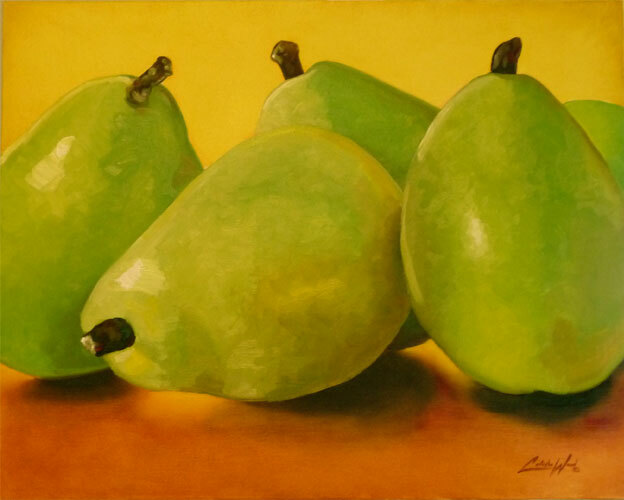 Just finished the pear painting. Now I better finish that work in progress on the floor. I have one more commissioned painting to do for friends from Utah - to bad it's not done already because their coming to visit this weekend. One more - this is my cute little chair. I love chairs! I spray painted this a week or so ago. I'm obsessed with this pea-green color right now. This is one if the little quilts & pillows I've made recently too. Fun to have projects! They keep my creative urges satisfied! Love that huge pear painting. just marvelous. Hope your friend likes it.